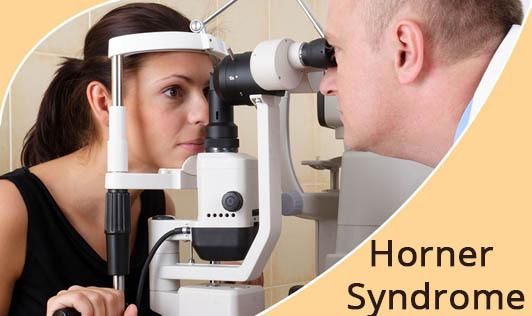 Horner syndrome is a rare disorder caused by an interruption in the nerve fibers that start in the part of the brain called hypothalamus and travel to the eyes and face. It's a sign of a medical problem such as spinal cord injury, tumor, cluster headaches, lung cancer in the apex of the lung or stroke and in some cases no underlying cause can be found. Rarely, Horner syndrome may be congenital. The treatment for this condition depends on the location and the cause of the lesion. Contact your doctor if you have symptoms of Horner syndrome!